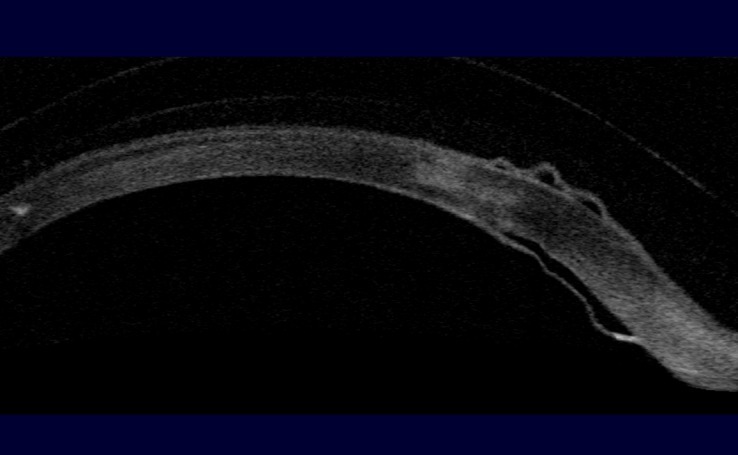 These two cross-sectional images were taken with a technology known as Ocular Coherence Tomography or “OCT.” These are images of an eye that underwent 2 separate R-K surgeries followed by 2 separate LASIK surgeries. These are images of the same cornea (in cross-section) as if the eye was pointed to the sky. The images were taken at 2 different cross-sectional “cuts” in much the same way as if you were cutting a pie from 12:00 O’Clock to 6:00 O’Clock and another cut from 9:00 O’Clock to 3:00 O’Clock. The top 2 curved lines represent the front and back surface of the scleral lens which is fit over the corneal surface. The thick curved grey structure is the cornea in cross-section. In the top image note the 3 “bubble like” protrusions. This is the corneal epithelium or outer cellular layer of the cornea separating from the underlying cornea. 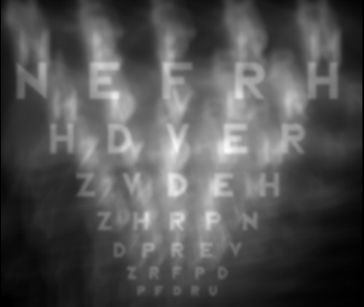 On the back surface of the cornea note a fine membrane “hanging” from the back surface of the cornea. 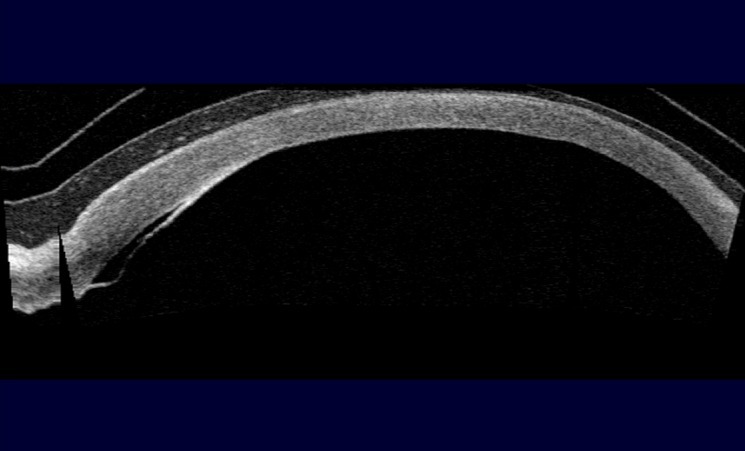 This is known as “Descemet’s Membrane.” The structural damage seen in these images is due to a cornea weakened from stresses placed on it by multiple surgeries which took place many years prior. The damaged caused by the 4 refractive surgical procedures resulted in this patient losing significant vision and suffering ocular pain for many years. 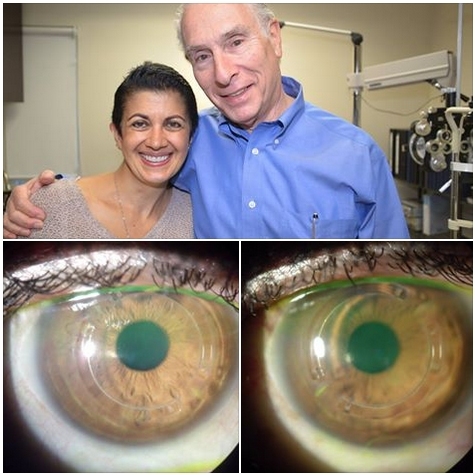 She is now seeing clearly with gas permeable scleral lenses without ocular pain. Should I have an Enhancement? In this video, Dr. Oz speaks out about lack of safety with LASIK, noting that half of patients are back in glasses in just a few years. shouldn't interrupt the guy doing it."